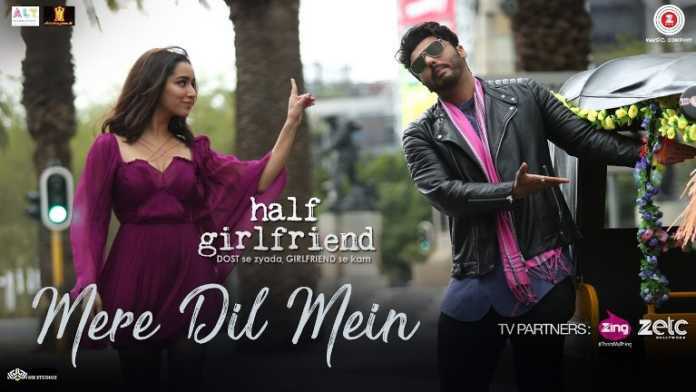 Mere Dil Mein is the latest HD Video Song From the Upcoming Movie Half Girlfriend. This Video Song features are Shraddha Kapoor and Arjun Kapoor in the main role in this movie. Mere Dil Mein song is sung by Veronica Mehta and Yash Narvekar and composed by Rishi Rich. This is a drama and romantic love Story bollywood movie Half Girlfriend. This movie is scheduled for a worldwide release on 19 May 2017. Half Girlfriend movie is directed by Mohit Suri and written by Chetan Bhagat. This movie three video song already release Thodi Der Full HD Video Song, second song is Phir Bhi Tumko Chaahunga HD Video Song and Baarish Video Song. Ijazat chahti hoon ijazat hai? This is the Rishi Rich, baby!